Richard T. Benson, MD, is associate medical director of the Comprehensive Stroke Center at MedStar Washington Hospital Center. 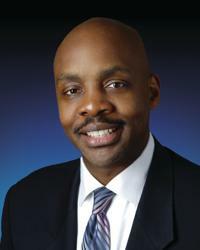 Dr. Benson received a Bachelor of Science degree in chemistry from Fisk University in Nashville. After working one year as a biochemist at Case Western Reserve Medical School, he attended Meharry Medical College in Nashville, where he earned his medical degree and a PhD in neurophysiology. Dr. Benson's doctoral thesis focused on "Excessive Methylation in Parkinsonism." While studying at Meharry Medical College, Dr. Benson received numerous research honors, and was inducted into the Alpha Omega Alpha Honor Medical Society. Dr. Benson completed his neurology residency training at the Harvard-Longwood Neurology Program in Boston. He then completed a two-year stroke fellowship with the Neurological Institute at Columbia-Presbyterian Medical Center in New York, while completing a master's degree in epidemiology. Dr. Benson has worked previously at Long Island Jewish Medical Center, St. Luke's-Roosevelt Hospitals, Alexandria-Fairfax Neurology, PC, Inova Alexandria Hospital, Inova Fairfax Hospital, and the Office of Minority Health and Research at the National Institute of Neurological Disorders and Stroke. His areas of special interest include: health disparities, minority health, issues related to stroke and/or cerebrovascular disease, and translational research related to various neurological diseases.